Over at Sauropod Vertebra Picture of the Week (SVPotW) there have been a number of posts recently discussing scholarly copyright with reference to recent media and general academic attention paid to the pirate site Sci-Hub, where any number of academic articles (47 million and counting) can be searched for, and read, for free. The site is of great boon to people such as myself, who currently hold no ‘proper’ researcher status and lack academic affiliation (alongside the access to journals that goes along with that), and to pretty much everyone you can think of who isn’t involved firsthand with research itself or affiliated to an academic or scientific institution. From politicians who implement international and national regulations and guidelines to families who want to learn more about a specific disease and health treatments, those individuals who want to make informed choices but find that knowledge and research is locked away behind paywalls each and every day unless you can afford to pay a substantial sum for access, or are a current university student or researcher and have validated affiliation. Those higher education institutions themselves are, of course, paying heavily to maintain access to the journals for their students, researchers and staff members. Lets not twist words though, Sci-Hub infringes copyright on a huge scale by illegally granting access to the articles it has access to. This goes markedly against the grain of academic publishing, where normal publishing procedures include authors, the creators of the content and research, handing over scholarly copyright (and sometimes even money!) to the publisher as part and parcel of publicizing their work to the wider academic community. It is also a world where paywalls are de rigueur across access to many articles published online in academic journals. (This is, as SVPotW points out, the opposite of creative copyright where the author of the work generally retains copyright). Access to both full journals and individual articles can be costly, as are annual subscriptions to such material. Academic book publications, both single authored and edited volumes, are also noticeably expensive, prohibitively so to individuals who are merely interested in reading about a subject in greater depth and to students who receive little public or private funding. But since this is a blog primarily interested in archaeology and human skeletal remains from the past, let us first take a look at a few bioarchaeological examples to see how much it can cost to access knowledge within the discipline. Afterwards I’ll discuss some options available for both the reader and researcher of such material with regards to accessing and producing the material. A book I have recommended on this site for budding bioarchaeologists, The Routledge Handbook of the Bioarchaeology of Human Conflict (ed. by Knusel, C. & Smith, M. 2013, published by Routledge), costs £150.00 in hardback or £142.50 for a Kindle e-book (who needs good quality images!). Another book I have mentioned on this site, and which I do heartily recommend, is Bioarchaeology: An Integrated Approach to Working with Human Remains (by Martin, D. L., Harrod, R. P. & Pérez, V. R. 2014, published by Springer) which, in hardback, retails for £84.53, paperback for £36.99, and in Kindle e-book form for £35.14. All of these prices are taken from a popular online source of cheap books. They are not cheap. They are even more expensive on the publishers’ homepage (again, for example, the Bioarchaeology: An Integrated Approach publication retails for £117.00 on Springer’s own site for both hardcover and paperback volumes, or you can purchase individual chapters for £23.94). It is a notorious joke that archaeology, as a commercial sector and as a profession, can be poorly paid compared to similar skilled sectors even though the staff are often highly educated and indeed highly skilled. It is worth checking out Doug’s Archaeology entry on British Archaeology Jobs 2014-15 for a glimpse of the bounties that await those who dig, analyse or plan for a living, but remember this is before any consideration is made on the physical and mental toll that life as an archaeologist can take on a person over time. (On a related side, currently archaeology isn’t very diverse either). Although the archaeology commercial and academic sector is the target audience for such specialized publications, academic books (minus popular archaeology books) and journal articles can be, and are often are, prohibitively expensive to a large proportion of its core audience, as exampled above. 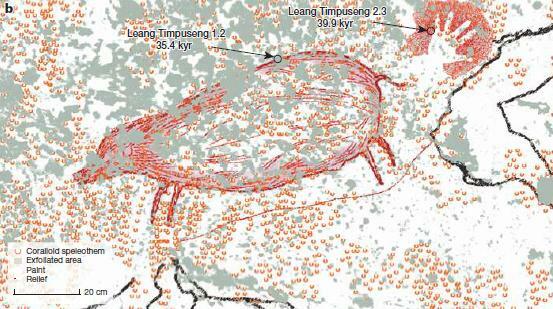 There are of course exceptions to this, but they are rare for seriously detailed archaeology publications. The below (Figure 1 & 2) is something which I find frankly ridiculous and leads me to wonder if anyone buys an academic article from the publisher themselves, or whether the paywall is just there to part the fool from their money? Figure 1. To access this book review of Barrett & Armelagos’s (2013) An Unnatural History of Emerging Infections on the International Journal of Palaeopathology’s (IJPP) journal site costs $31.50 (£22.26) for a one time download of the article. (Click to enlarge the image). Figure 2. To buy a firsthand copy of the An Unnatural History of Emerging Infections book online (with free international postage) it costs $27.15 (£19.99), a saving of $4.25 (£3.06) on accessing and reading the book review if you were not subscribed to the International Journal of Palaeopathology (or a member of the Palaeopathology Association for $65.00/£45.94 for a years subscription, which includes access to the IJPP). (Click to enlarge the image). So, what are some of the options available for the reader and for the researcher who want to use, access and contribute to making knowledge open access? And what is open access any-how? A relatively new movement, generally titled under the Open Access (OA) term, has been slowly building across the globe since the coalescence of its origins across a number of public statements and conferences from various academic and institution organisations that were made in 2002-2003 (see OA history here). Generally speaking, the open access movement sees the paywalling of research as a major international problem as many researchers and non-researchers believe intellectual knowledge, and the information generated from scientific research (which can often be funded by taxpayer money via distributive research councils) more generally, should not be copyrighted and should be openly disseminated as a matter of course. This involves both unrestricted access and unrestricted reuse. I’ve stated that the movement, as academics would largely recognize the ‘Open Access’ movement, started in the early years of the 21st century yet it is also well-known that there have been various discipline, or research specific, open access track routes open for a good number of decades now. What we have seen within the past few decades is a growth in the general international understanding of what open access is and what its general aims are. With a number of major research journals (see a few paragraphs below) opening up their archives and making some of their current journal content open access, we are seeing a movement that has had influence on major publishers of research and influence on the researchers who both write and choose where to publish their research and how to publish it. Not all research is capable of being openly published due to a number of reasons (again, some outlined below), but a general move towards the ability to freely access that information has taken hold within the digital age. This is not without precedent or without congruence within digital media and the issues of access to that material – one only has to look at the damage that illegally downloading music and films has done, and continues to do, to those areas. (There is a handy metaphor here with the online music content providers of Tidal, Deezer or Youtube providing varying models of access – pick your poison!). However innovation and invigoration can drive change within seemingly disparate media formats. From its launch in November 2013 the Open Access Button is an application aimed at enabling the public, students and researchers access to scholarly research and to report it when the research is blocked by a paywall. The brainchild of Joseph McArthur and David Carroll, the Open Access Button aims to highlight to users were paywalled research may be legally available elsewhere on the web and also lets users report which articles are not free and for what purpose the individual wanted to access the paper (Figure 3). Figure 3. The three stages of the Open Access Button and how it works. The button aims to promote the use of access to academic research across the globe. Image screenshot taken from website here. (Click to enlarge the image). It really is that simple but this little button has been a fantastic addition to my own internet browser for when I cannot access research and I really do recommend its use. The makers of the button, and the largely voluntary team that help keep it running, state that it is not a long-term solution and support advocacy to help promote the issues that open access faces within the academic and business worlds. There are also the social media sites available for scientists and researchers to join, in which the general public can also join or view research articles on. Two of the most prominent and widely used are the United States based Academia.edu and the German based ResearchGate sites, both of which launched online in 2008 and which offer free access to researchers profiles where book chapters, articles, theses and dissertations can be uploaded, viewed and downloaded by the sites users. Both sites are free to join and are geared towards similar audiences, including academic and corporate researchers and the larger medical world. Academia boasts a total of 34 million plus academics using its website (as of March 2016) whilst ResearchGate has a user base of around 9 million plus (again March 2016). Academia hosts more than 10 million plus scientific papers whilst according to the business fact sheet ResearchGate host 81 million plus publications. It should be noted here that these sites operate as great content providers of published and non-published academic research, however not each title is necessarily uploaded as anyone who has had the frustrating feeling of finding a dream paper only to find the author hasn’t uploaded it will recall. (Papers can be handily requested from the author themselves however). The sites are also fairly great at leveling the playing field of being able to distribute unpublished research from relatively junior researchers, especially of theses and undergraduate/postgraduate dissertations, or the work of independent researchers. As a pair the sites seek to distribute knowledge of scientific research and aim to help users of the sites to create research networks across the globe, which increase the spread and depth of knowledge. Interestingly, although the Academia site ends in the .edu suffix it is not affiliated with any academic institution per se and instead receives a portion of its funding instead from venture capitalists or angel investors, just like ResearchGate, who invest in or provide financial backing for the company. Sci-Hub isn’t particularly a new site as such, nor has it moved into novel territory. Rather it is both a symptom of the problem of academic publishing itself and it is a symptom of the greater role that digital media is playing in modern business practices, and the way that individuals and groups can circumvent both pre-digital and current business practices. The issue of digital rights is an important issue to raise at this point, both in the specialized world that I am interested in (the discipline of bioarchaeology) and the wider world of how digital content and media is challenging traditional copyright law and the philosophical inquiry of intellectual ownership (not to mention testing the boundaries between the state and the individual). Intellectual ownership is perhaps one of the most important points so far mentioned – lives across the globe are ruined due to the implementation of strict copyright laws in various countries, where individuals, such as Aaron Swartz and Diego Gomez, have been pursued by national agencies on account of sharing academic research in the public domain. A part of this is the non-universal application of Digital rights management (DRM, sometimes labelled as copy protection) schemes which refer to access control technologies that are used to prevent the copyright infringement, modification and distribution of digital material and media formats (DVD’s, CD’s, e-books, etc.). DRM controls are often used with academic publications or e-books where the reader is allowed a number of options to access paywalled research articles. For example, the International Journal of Osteoarchaeology (Figure 4) offer a number of approaches to read research articles that it publishes on the journal homepage for those readers who do not have access to the journal via an educational institution. The instant access options (see below) include the ability to rent the article for a set period of time, to being able to read it on a cloud system, or to download it as a PDF file and then being able to print and save it. Figure 4. The instant access article options available to reader with no institution access, courtesy of the International Journal of Osteoarchaeology. The source of the screenshot can be found here. (Click to enlarge the image). It is worth mentioning here that the majority of articles and e-books are widely available in the EPUB or PDF formats, including the bioarchaeology e-books mentioned at the beginning of this post, from journal websites directly and from more commercially-minded book sellers. Shockingly it is well-known that e-books in particular can be stripped of their protective DRM status using Calibre and shared illegally (or at least against the licence of the copyright). However, you may also just want to save a copy of the e-book that you have brought with your hard-earned money on more than one device. Perhaps even more damningly e-books can be purchased on sites, such as Amazon, stripped of their DRM status, and returned to the seller for a refund of the original price whilst retaining a copy of the digital publication, essentially ripping off the merchant and publisher (and arguably the author(s) themselves). A growing number of academic journals are including Gold or Green open access models as a standard means of accessing the research that they publish. Most journals archive their articles as a matter of course and some are now offering free access to those archives after a set period of time has elapsed (often a number of years in order to make their business model work). This should rightly be seen as a positive move towards more open research and data. In conclusion, I cannot in all seriousness offer any conclusion. Academic publishing seems to me to be partly mad (for the researcher) and partly genius (for the actual publisher) (Figure 5). Are sites such as Sci-Hub, Academia, ResearchGate, etc. a part of the solution? Possibly, but I don’t think they are long-term solutions as such but they are vitally important cogs of the publishing machine, cogs that allow dissemination and access to the scientific and humanities research that is so often funded by public money. It is also clear that there is a bafflingly broad range of payment methods for the honest purchaser of a research article – you really do have to shop around to find the best deal, if you are willing to pay an exorbitant price for a single article. Figure 5. It can be hard to explain to family and friends the nature of academic publishing. When I announced that I was researching and writing a book chapter for a forthcoming bioarchaeology volume I was often asked how much I would be paid for this, either in an advance or as a percentage of the sales of the volume. I could only reply with a half grin at the thought of countless hours of my free time being spent on writing, and re-writing, the chapter for no monetary gain (the contract stipulates that, as an author of one of the chapters in the volume, I can purchase a copy of it with a 1/3 off – hooray! The book will be sold for around £80 or so in hardback form. Still, one of my dreams achieved. Image copyright courtesy of Kirsty Sedgman, source. (Click to enlarge the image). But, what if you are an archaeological researcher and you want people to read what you have to say? What if you want to reach a larger audience with your work because you think it is important, and you do not want it to sit behind a paywall in which only a relatively small number of people have access to it? We, as researchers, can take a stand against the locking away of the research that we generate by targeting the method of delivery of the research itself. We could pick journals that support open access (journals such as the peer-reviewed International Journal of Palaeopathology which supports open access in part, or peer-reviewed Internet Archaeology, which is fully open access, others such as PLoS advocate open access via the use of the Creative Commons by Attribution licence with the authors agreement). We can directly sell or market our research to the public and to interested researchers (see a previous post on Stuart Rathbone’s new volume, where you get to decide how much you want to pay to the researcher and publisher directly). We can take advantage of new digital media, such as blogs or producing videos, opening up grand new avenues of academic and public interaction. We could do these things, and we could do more to make our research accessible for the benefit of (almost) everyone. But there is a sting in the tail of this approach. No one researcher, if they are seeking a long-term career in academia, can do this approach alone. Researchers need publications in journals where impact factors can be measured, where influence can be scored, where importance can be ranked. Certain strands of research may be covered by legally binding non-disclosure agreements within public spheres, or may be curtailed by the ethical demands of the nature of the research itself. The very existence of intellectual and image copyright in the digital realm faces huge challenges with unaccredited digital reproductions and illegal downloads littering the net. (For osteo enthusiasts I heavily recommend you check out and join the pertinent Digital Ethics in Osteology JISCMail group for the establishment of a working group for best practice guidelines). On top of this academia, as many know, can itself be relentlessly competitive which, together with the normal stresses and strains of a job which inhabits many roles under its terminology, can lead to rapid burnout through sheer exhaustion and financial worries. What we publish and where we publish is but one factor facing the life of a researcher and sometimes we cannot control who has access to what, where, when, or why. 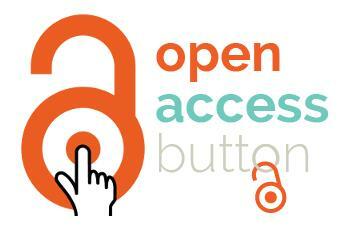 The Open Access Button site can be found here. Simply follow the instructions and add the plugin to your browser page. Each time you come across a blocked, or pay walled, research article click the button to let the Open Access Button community know about it and have the site information indexed. The button will suggest other possible accessible routes for the article, as well as alerting the community to your need to access the research. The data that you enter into the plugin, such as the reason for accessing the article and the location you are based in when doing so, will go towards helping build a global interactive map documenting the problems accessing research. The Sci-Hub site can be found here. Sci-Hub aims to eliminate all boundaries that stand in the way of accessing scientific research. According to the website Sci-Hub has 47 million papers in its library and that number is set to grow. Please be aware however that the site address may change or be mirrored elsewhere around the web, so it is recommended that a search engine is used to locate the current iteration of Sci-Hub. The venerable social media sites for academics and researchers, Academia.edu and ResearchGate, are sites where individual researcher profiles can be created and where articles, book chapters and conference presentations can be uploaded for public view. This is, in research consent to publish lingo, an example of fair use of sharing scientific work between an academic community. The sites let you set up a profile of your academic affiliations and research interests, which help to find other individuals interested in these areas and forge research relationships across the world. (Or leads to you intently refreshing your own profile page in the hope of enticing more readers to view your much-maligned undergraduate dissertation). 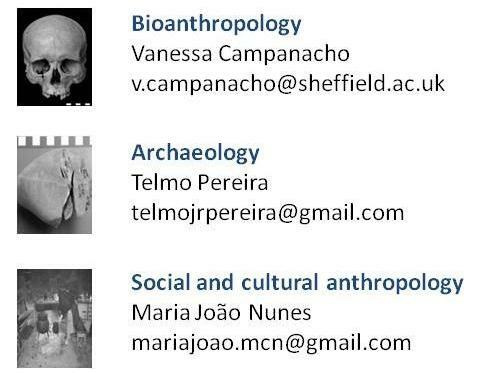 The British Association for Biological Anthropology and Osteoarchaeology have produced an online forum for both members and members of the public to join and discuss topics relating to biological anthropology and osteoarchaeology. The site goes live today and it is available to join for free. BABAO, The organisation who encourage and promotes the study of biological anthropology in understanding humanity’s past and present, is also open to all and the association acts as an advocate to encourage discussion and guidance regarding new research, investigation, and the study of human and non-human primates. The BABAO website header, highlighting both human and non-human primate remains. Image credit: BABAAO 2014. This is an important step for BABAO as it is a direct attempt at reaching out to both individuals involved in the field and to members of the public, aiming to help educate and inform public debate and knowledge about these often specialist topics. The site itself is split into different sections, with the majority of the focus on the main topics of research for BABAO members (such as forensic anthropology, human evolution, osteoarchaeology and palaeopathology). However there are also areas (including media, publish or perish! and opportunities) where it is hoped that researchers and interested individuals can share information, tips and hints on how to prepare publications, apply for grant proposals, apply for jobs and also share favourite websites, etc. So I heartily encourage readers of this blog to register, join up and get involved. You can find me there under the moniker of this blog (thesebonesofmine) and I shall hope to see you there! BABAO’s online forum can be found here. The BABAO Code of Ethics and Code of Standards for the handling, storage and analysis of human remains from archaeological sites, can be found here. The association’s 16th annual conference is taking place this week on the Friday 12th to Sunday 14th of September at the University of Durham. More information on the four sessions running at the conference (Body and Society, BioAnth and Infectious Disease, New Biomolecuar Methods, and an Open Session) can be found here at the University of Durham’s website. A very quick post here just to highlight the Open Access Archaeology website, a site ran in part by the creator of it, Doug Rocks-Macqueen, with the help of Lorna Richardson and other dedicated researchers. The Open Access Archaeology site provides the user with a resource on open access archaeology journals, highlighting where to publish if you want your work to be available for free or if you are just searching for a specific article or chapter. 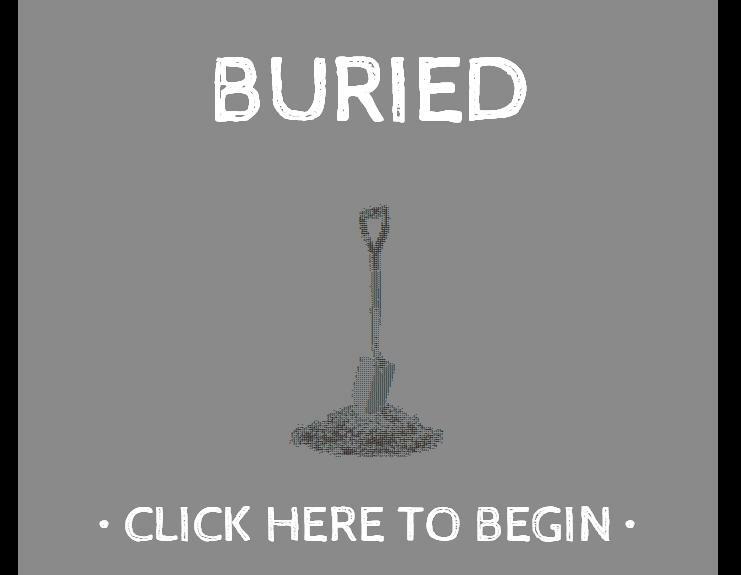 Currently in the beta testing stage, the website promises to help make the destructive process of archaeology open for everyone by providing the results of the research available to everyone.